This is 100% Pure West Bengal Premium Import™ Indigo. • Use solo to darken Existing Dark Hair. • Use to make brown hair deep black. • Use to darken any of our Henna Hair Dye colors. Step 1) Apply Pure Henna. Step 2) Apply Pure Indigo. IMPORTANT NOTE: Pure Indigo will make existing dark hair colors darker. Very light hair can turn slightly blue or green if Indigo used solo. Additional details in the description below. This product contains 100% Pure West Bengal Premium Import™ Indigo. 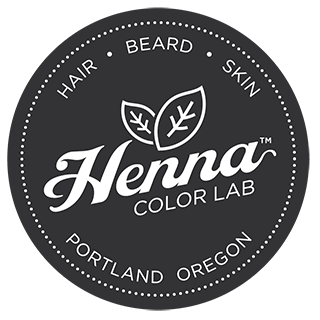 *Here’s How: You must color with pure Henna First. Rinse, No Shampoo/Conditioner. Then apply Indigo right after. IMPORTANT: Blonde/Gray/White hair will always require a double treatment to achieve black hair with Indigo Powder. Natural Indigo was the original pigment source for standard blue denim jeans. Used alone on a light canvas, blonde or gray/white, it will color blue to blue-green. Light Hair Solution: Combine our Indigo Powder with our Pure Henna Powder. Your hair will express a Super Dark Brown to Rich Black (depends on starting color: lighter = more brown notes initially). And the next application will ensure RICH BLACK. Rinse clean without shampoo or conditioner—just tap water at this step. Towel dry hair, and immediately apply Indigo. Leave Pure Indigo on for one hour. Rinse clean and Now you may use conditioner to aid in removal, etc. Allow hair to naturally transition. As the color matures and the pigments oxidize with the air, you may see various undertones (red, green, blue) and that’s completely normal. After 24 hours you should see the near complete transition. By 48 hours the color will have set and will be super dark, shiny, and full of luster. Ingredients: 100% Pure West Bengal Premium Import™ Indigo. 100% Indigofera Tinctoria (Natural indigo). This product is awesome! I used to use the chemical colorants sold in drugstores for a few years,. I colored maybe four times a year. Then, once I itched all over for two days, then the next time, I had an allergic reaction that sent me to the emergency room. After that, my vanity sent me to henna, and it’s the best! I have naturally deep black hair, and a mixture if deep indigo and deep black works awesome! It takes longer than chemical dyes, but the result is a wonderful deep bluish black, and I don’t have to worry about any allergic reactions! Go natural, it’s well worth it! I spot treated hair from my hairbrush, i had my hair regular chemically colored purple but it faded out to a mahagony. So I wanted to try achieve a long lasting purple color and was recommended to get a henna. The only one I found available was the indigo. I thought maybe it would mix with the red already in my hair and maybe make a purple. So when I got my package, I took some hair out of my hairbrush and spot treated them. The color came out more like a greenish light blue tint. So I would say use if you have already dark hair or no warm tint in your hair, for “cool” tones only. Customer Service however has been amazing. Note about the GLOVES: be CAREFUL handling them, they are very fragile. I had to ditch them when doing my own head bc they were to big for me and I couldn’t see what I was doing (henna paste is very sticky and kept dragging them off my fingers.) Hands were orange for a few weeks, lucky I’m kind of a weird person bc I didn’t mind lol. This is not a complaint, just a word to the wise. I used yellow dish gloves the second time, to much greater effect. My hands were unscathed, though the glove is now orange. IF YOU DON’T USE GLOVES, YOUR HANDS WILL BE BRIGHT ORANGE FOR A WHILE. If you get indigo paste on orange stained hands, your hands will now be gray stained. It looks really odd. It won’t hurt you, but you will have to wait for your skin to renew itself to get rid of the color. It could be a good thing if you’re going for a zombie aesthetic? Indigo smells like peas. I think that’s hilarious. Much love to this company, I’m so happy you exist!!!! Hi! I combine this with wine henna for a wonderful chestnut brown on my white hair. I first dye my white roots with just wine henna color , let sit for 2 hours and then wash out .. The next day I combine three scoops of indigo with a pinch of wine henna and mix. I let that sit for about an hour ,then check the shade in the bowl to see if it is blue and not green. After it turns brownish blue I apply that just to the red roots. I let it sit for about 2 hours. Sometimes I have to repeat the indigo and wine mix a second day to deepen the brown. This turns into a 3 day deal but worth it! It doesn’t fade and is the only way to turn my white roots to brown without chemicals. I recommend this technique to anyone that wants a deep rich brown on white or grey hair. It took me months to figure out the best formula! Good luck and thanks Henna Color Lab! I used this henna to turn my brown and real hair to black and navy blue which is exactly what I wanted and exactly what did happen. Absolutely in love. And my hair feels soooo healthy. African American w/dreadlocks and my hair is 40% gray. I tried different color hennas and the gray just would’nt cooperate! I decided to try the 2 step indigo as a way to get one colored hair versus the tri-colored I have been rocking. OMG, I’m so glad I did! The process is straight forward and only took 2 hours. My hair is a beautiful, deep black now and you now have a customer for life! Thank you!! I have 3c curl texture shoulder length Afro hair. I have grey hair at my temples that I wanted to color blue. I used Indigo alone. The first application I saw a slight difference after 2 hours of use but I wanted a deeper blue. My friends teased me that I really didn’t have much grey hair which turned out to be true during application. I couldn’t focus on the grey alone and I had to add the Indigo to the entire temple portion of my hair on both sides. I did a second application the same day and got the color I wanted. I also made sure to make the mix a thick pudding as recommended in the instructions which I think makes a real difference. I also agree with an earlier review about the cap and gloves. They are rather thin so if you plan on doing more then one application you’ll need another set to do it properly. I also lined my hairline and ears with shea butter to protect my skin. The grey is now a beautiful deep blue almost like a blue-grey Baroque pearl color. The rest is which was a dark brown is now a deep rich blue black-brown color. I am interested to see how my roots and new grey grows out. I actually want more grey hair now so I can have more of the blue color. Eh….I’ve tried the Indigo twice now. While it doesn’t bleed for weeks on end (like the wine red does), it left my hair looking more green than blue (I have brownish red hair) I was hoping for a nice blueish shade. First time I left it in a for the recommended time and the second time I left it it much longer than recommended to see if that helped it “take”. Nope. Occasional shades of bluish green turquoise but not the full blue/indigo like the photos. I will say that it lasts a really long time because about 4 months later I tried to re dye it with chemicals and it turned it bright green. I have tried the shades of brown with this company and I love them, and the traditional henna is great. Indigo and wine red need some tweaking. I love this hair dye!! I have tried 3 other companies and none have worked. I love it my hair came out sooo dark!! I usually add salt and mix half water half ACV and then don’t wash my hair for a little less then 48 hours. As long as it works I’m going to keep using it!!! Hard to get use to but omg i love the color. It has a slight blue tint you can only really notice on lighter hair rather i was hoping for a uniform blue color. Used this for the first time as part of a henna/indigo two step process and absolutely love the results. Have been henna’ing my hair for 3 years, but decided I wanted to go dark last week. My previous shade was a lovely henna’d auburn with copper highlights. After applying the indigo, it turned mostly very dark brown, with black low-lights, with some reddish highlights. Absolutely lovely. So excited about my new look. I use the two step process on my very dark brown hair with few grays. The results are a very deep NATURAL back. I was worried that it might come out too fake of a blue black but not at all. Before the two step process I tried the natural black. No gray coverage at all on my hair type. But with the two step process I get exactly what I wanted. My hair looks like the girls hair in the picture for the Natural back color. I follow the instructions only things I do differently is when I mix the Henna I mix it with 100% lemon juice, and when I mix the Indigo I add a dash of salt. I have NO drying affect on my hair type but I have heard that some say lemon is drying. I love the way my hair feels and looks. I love that I can get a beautiful black color 100% NATURALLY!!! Thanx HennaColorLab! !